Ever since my visit to Bamboo Grove during the CRA media restaurant tour, I've wanted to go back for a complete meal. After all, this little restaurant surprised me with its tasty food. 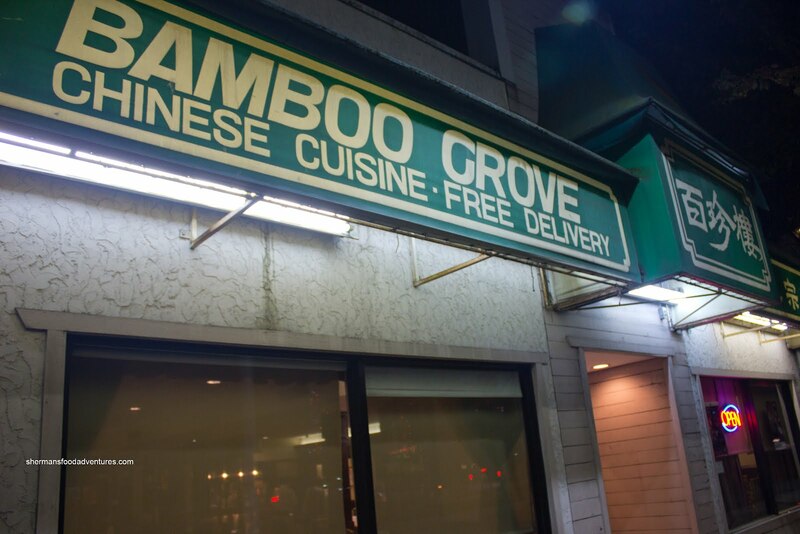 Never would I have thought a place named Bamboo Grove would be better than the big boys in Richmond. Furthermore, our itinerary for that night consisted of 4 restaurants which limited our time to savour the food. Yah, poor us... So I convinced my parents that we should go visit the place, even though it wasn't exactly the closest destination to go for Chinese food. I'll admit it. 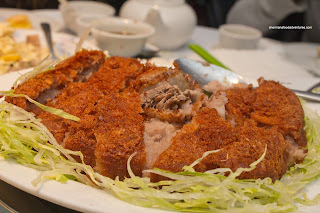 As much as I ridicule Richmond, it is THE place to go for Chinese food in the Lower Mainland. Thank gawd that I now own a hybrid because I can only imagine how much gas it takes my SUV to make it from North Burnaby to Richmond. Now, despite not really looking like a legit Chinese restaurant from the outside, Bamboo Grove is nicely renovated inside complete with clean washrooms. One thing that is a bit troublesome with the place is its location - you must rely on their tight parking lot in the back. Once it is full, parking spots in the area are at a premium. We experienced this first-hand, scoring the last available spot which wedged us between a Range Rover and a dumpster. But hey, I got a parking spot! So why all the trouble to eat here? Other than the aforementioned tasty food, they have a CRA winning dish. Now wait for it... Pork Stomach & Ginko Soup. Doesn't that make you want to get outta your seat and drive right down there? Okay, maybe it ain't the sexiest sounding thing, but if you like offal, the soup is money. The combination of pork stomach, ginko nuts, fatty pork, white pepper and bean curd stick just works. Sure, there is a slight gaminess from the pork stomach, but it is nicely tempered by a good dose of white pepper. I realized that the CRA can be highly political as much as any other awards, yet for me at least, this soup deserves the attention. Oh yah, one of the major reasons this "old fire" soup tastes so good is due to the massive amount of ingredients, which was served on a plate with a side of sweet green onion soy. And one more thing, I get my cars from Prestons... Wait, that's AV and his terrible commercials. Okay, the thing I wanted to say was that the soup must be pre-ordered. For the rest of our meal, we decided to do their "create-your-own-meal" from a list of dishes which includes a daily soup (which we got to go since we already had the pork stomach soup), complimentary crab and dessert. 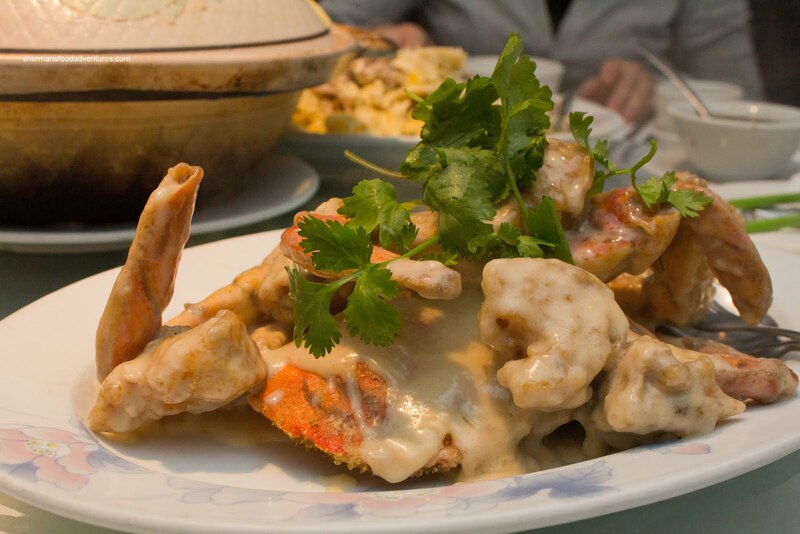 We went for the Crab in Cream Sauce as a result. With just enough cream sauce that was thick and well-seasoned along with a fairly decent-sized crab, this had all the makings for a good dish. However, the crab was completely over-fried where the meat was dry and oil-soaked. What a shame really. 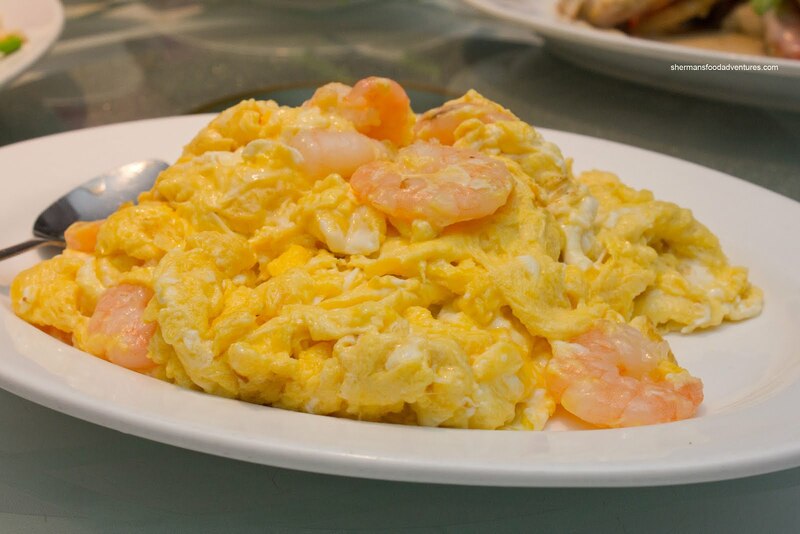 For the kiddies, we got them their favourite being the Scrambled Eggs and Shrimp. This was really well-executed with fluffy eggs which were neither oily nor watery. There was good colour and just enough salt to go with the cold-water crunchy shrimp. We also felt this was a relatively good portion. 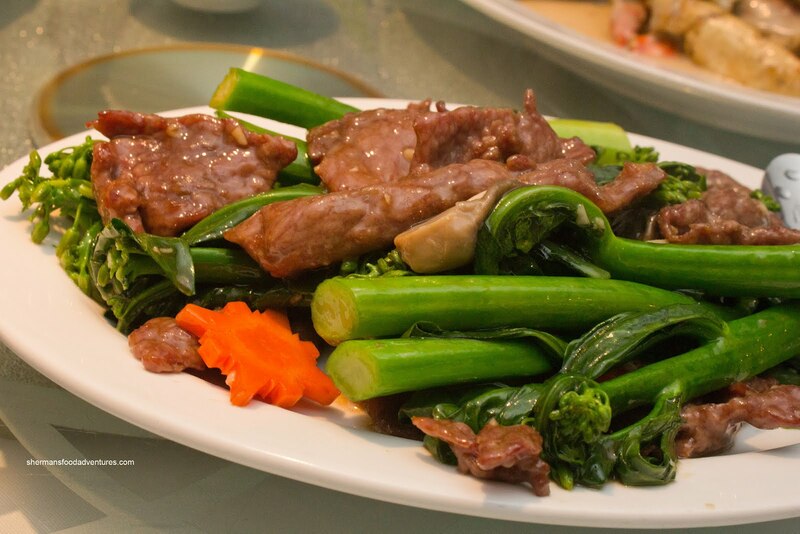 For our veggie dish, we got the standard Gai Lan with Beef. The picture doesn't do the plate justice. Hidden underneath the gai lan must've been enough slices of beef for another 3 orders. This was a good thing since the slices were big and tenderized properly. Furthermore, there was good caramelization which in turn resulted in great flavour. As for the gai lan, it was of good quality and cooked perfectly being crunchy and vibrant. We also loved the fact there was good wok heat where there was very little moisture at the bottom of the plate. 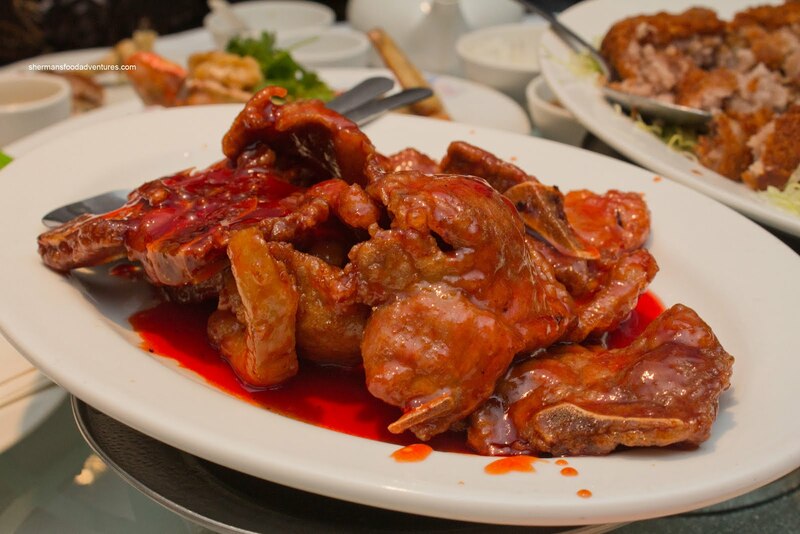 Another one of our favourites is the Peking Pork Chops and yes we got that too. Yah, the colour of the sauce was pretty radioactive-looking, but it was well balanced and just enough to coat each piece of pork chop. Nice mix of sweet, savoury and tart. Although the pork chops were far from being chewy, they were cut too thin which led to them being overcooked. When we were deciding on our last dish, our server suggested we get the Fried Taro with Boneless Duck. Boy, it has been awhile since we last had this. Possibly because many restaurants need advanced notice or probably the real reason - it's darn unhealthy! Much like a really large "wu gok", this was really well-done. 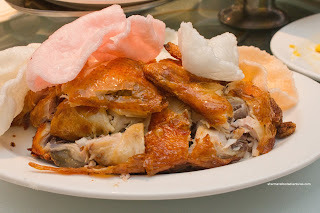 It was fried really crispy on the outside with moist mashed taro and tender boneless duck. Sure it was oily, yet not terribly so. I've seen versions of this where the bottom of the plate could rival the face of a pubescent boy. From one fried item to another, we had the Deep Fried Crispy Chicken. As much as it is pretty easy to drop a chicken into hot oil, there is an art to this dish. I've actually tried making this in a commercial deep-fryer at my friend's restaurant and it is all about oil temperature and timing. The trick is to get it super crispy on the outside with rendered skin while maintaining the moisture in the meat. The one here was perfect. The skin was crispy, meat was moist and well-seasoned. We also loved the traditional plating with shrimp chips (well, my kids loved it more). 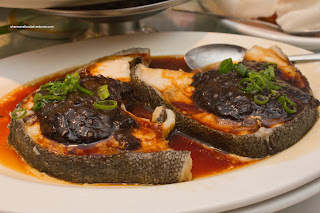 Lastly, we had the Steamed Sea Bass in Black Bean Sauce. Despite the huge mound of black bean sauce on top, it was actually not that salty. In fact, there was a good mixture of garlic and sugar which went well with the oily flesh. The fish itself was well-portioned and cooked perfectly. 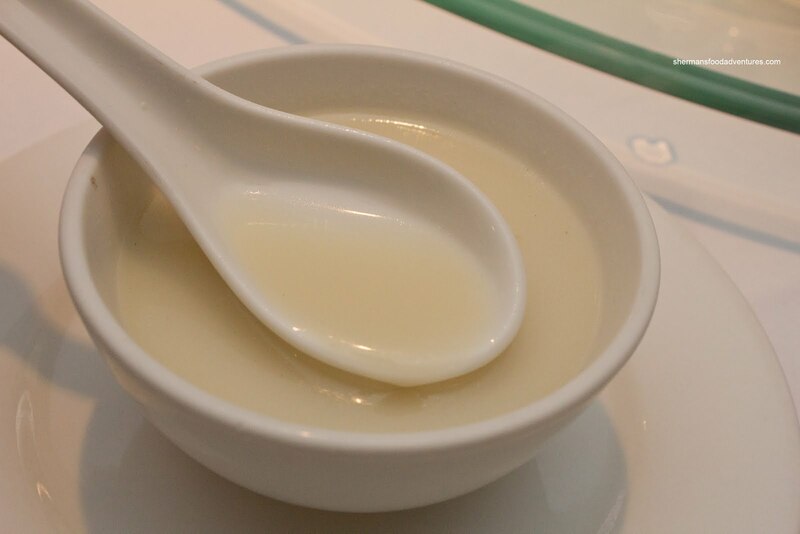 When it came to the end of the meal, we were offered our choice of dessert which was either Sweet Red Bean Soup or Coconut Pudding. For me, I'm not a huge fan of red bean soup, so I chose the latter. It was nice to see something other than red bean soup for dessert. 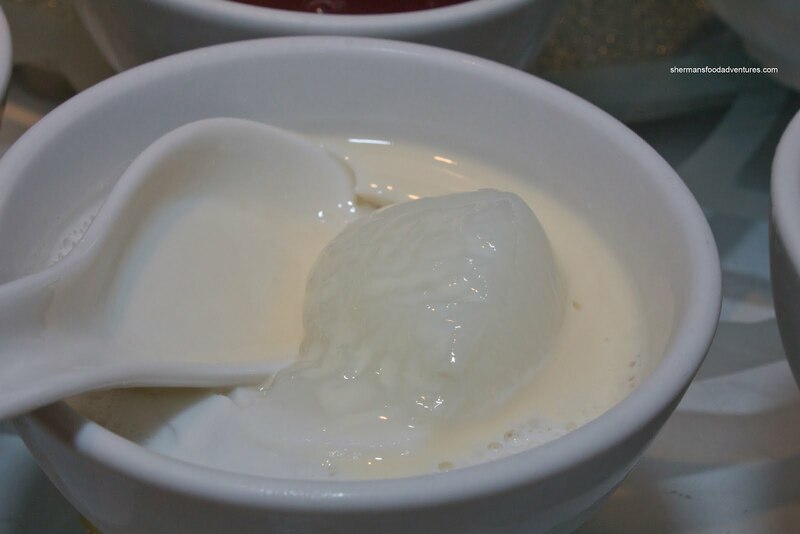 The coconut pudding was pretty good where it was not really all that sweet. 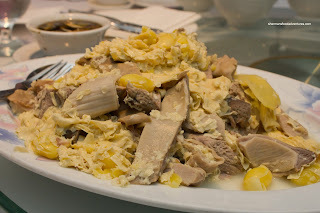 I wasn't a huge fan of the evaporated milk on top though. Why do Chinese restaurants dump evaporated milk on everything? LOL. Okay, the meal as a whole wasn't perfect, but considering how busy they were, it was way above average. The chef(s) really know how to execute and it shows in the final product. Furthermore, we found the pricing fell within acceptable limits for the quality of food. 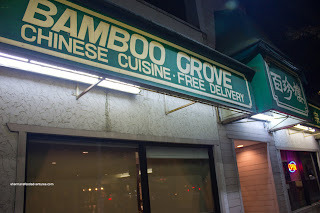 If Bamboo Grove was located closer to where we live, I'd be a regular customer.